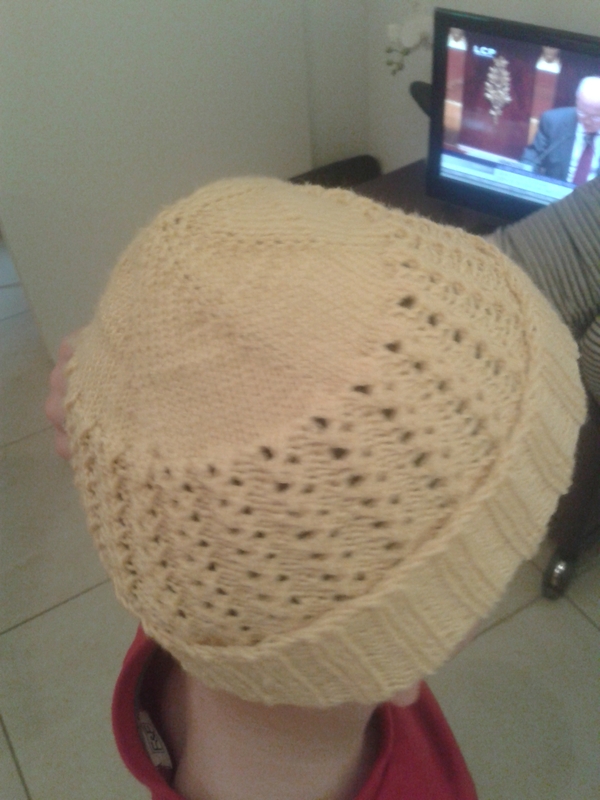 Another one is here… I used a free pattern from Lion Brand – Lovely Lace Cap. I really like how the lace part looks like. It’s also really stretchy, so i made it a little longer with a wide ribbed band so it would fit a lot of size. But I don’t like how the crown does not lie flat and it slightly pixie-shaped. Next time I would try making it down-up. I increased until there were 96 sts, on 3mm needles (Champagne by Grignasco yarn), and it fits both my 1,5 yo daughter and her 3,5 yo brother. Separator image Posted in My kniting & crochet and tagged with hat, lace.